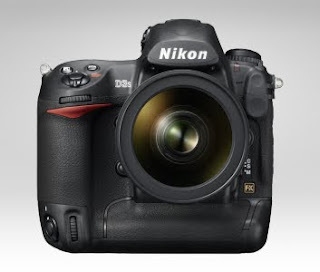 In just one week, I'll be fondling the new Nikon D3S at PhotoPlus in NYC. Based on the press release received yesterday, I don't think I'm going to want to give it back. expanded ISO equivalent settings up to a staggering 102,400 are available, enabling photographers to create images previously thought impossible. the amazing ISO range of the D3S can also be applied while recording HD video clips to give unprecedented low-light ability for movie clips. The refined D-Movie mode for the FX-format offers smooth 1280x720 video at a cinematic 24fps. the D3S also features a Quiet Shutter Mode which substantially reduces the sound of the camera’s mirror-down cycle, which is perfect for shooting in sensitive environments, such as movie sets, meetings, ceremonies, or while photographing wildlife. So if you are in New York next Thursday, stop by booth 501. You'll recognize me as the one with the death grip on the new D3S.